Introducing Charles B. Simone, M.MS., M.D. During your life, there are people you would like to meet, and there are people you should meet. Meet now Charles B. Simone, Masters of Medical Science, Medical Doctor, Medical Oncologist, Immunologist, and Radiation Oncologist. He is the Founder of Simone Protective Cancer Center, and author of Cancer and Nutrition, A Ten Point Plan for Prevention and Cancer Life Extension; The Truth About Breast Health and Breast Cancer, Prescription for Healing; The Truth About Prostate Health and Prostate Cancer,Prevention and Cancer Life Extension; and HOW TO SAVE YOURSELF FROM A TERRORIST ATTACK and also Nutritional HydrationTM, Medical Strategy for Military and Sports Warriors. He has worked in cancer research & treatment since 1976. He graduated from Rutgers College of Medicine and also earned the rare Masters of Medical Science while investigating the cancer killing properties of plant herbals. After training in Internal Medicine at the Cleveland Clinic (1975-77), Dr. Simone was offered a position in the Immunology Branch and Medicine Branch and later in the Pharmacology Branch and Medicine Branch at the National Cancer Institute, National Institutes of Health, Bethesda, Maryland (1977-82). At the National Cancer Institute, he trained in medical oncology and immunology. In 1982 he accepted a position in the Department of Radiation Oncology at University of Pennsylvania, Philadelphia, PA; and in 1985 began as Associate Professor, Department of Radiation Oncology and Nuclear Medicine at Thomas Jefferson University, Philadelphia. Since 1988, he has been the Founder and Director of the Simone Protective Cancer Center. uncovered the fundamental mechanism of how human white cells kill foreign cells by forming pores in the membrane. helped demonstrate how “complement proteins” aid in killing by forming pores in the membrane. demonstrated how adriamycin, an anti-cancer drug, operates at the cellular level. conceived and developed the idea of splicing monoclonal antibodies to killing cells that seek out cancer cells, called directed effector cell killing. While thoroughly engrossed in basic science, Dr. Simone again found new direction as a result of direct contacts with cancer patients. One of his first patients was Vice President Hubert Humphrey who was dying of malnutrition secondary to his cancer. Later, a man his own age came to Simone at NCI and asked to be kept alive for the birth of his child. Intensive chemotherapy cleaned out the cancer, but he did not improve. “At last resort, I gave him high doses of vitamins and minerals that quickly produced a seemingly miraculous, but only temporary recovery.” The man saw the birth of his son. Newly interested in nutrition, Dr. Simone realized that existing cancer treatments produced limited results. Although billions are spent on research, the number of new cancer cases rise year after year. He decided to devote part of his time investigating the effects of nutrition on cancer and the possibilities of cancer prevention. The result was a landmark book, Cancer and Nutrition, A Ten Point Plan to Reduce Your Chances of Getting Cancer (1982). This is the only book endorsed by George Stringfellow, a founder of the American Cancer Society. Dr. Simone now serves as a consultant to major corporations, foreign countries, and had been asked to advise prominent figures, including President Reagan, on the principles of cancer prevention. 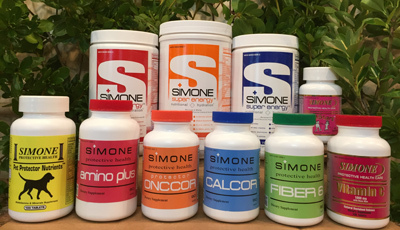 Since 1981 Dr. Simone asserted that proper nutrition, supplements containing the proper doses, chemical form, and correct ratio of one nutrient to the other, and other lifestyle factors should be integrated with effective conventional therapies for patients, especially those undergoing radiation, chemotherapy, cardiac and other treatments. 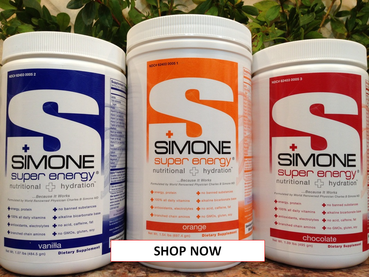 Dr. Simone was compelled to develop and manufacture these special nutritional formulae. Lifestyle modification improves health and outcome. The majority of his clinical practice since 1980 consists of patients with breast cancer, benign breast disease, and those who want to prevent both. Dr. Simone’s comprehensive approach to obtain optimum breast health is shared in his book, The Truth About Breast Health and Breast Cancer, Prescription for Healing. And Dr. Simone explores his Plan for prostate health in his book, The Truth About Prostate Health and Prostate Cancer, Prevention and Cancer Life Extension. After he wrote Cancer and Nutrition in 1981, Dr. Simone was thrust into the alternative medicine arena. He searched the major rain forests for cancer treatments. He helped to shape the early days of the Office of Alternative Medicine (OAM), National Institutes of Health. At the request of the OAM, he pursued and received FDA approval to investigate the use of shark cartilage in advanced cancer patients. He also helped to organize Departments of Alternative Medicine for other Medical Colleges. Because of his expertise in treating malnourished dehydrated patients who experience muscle wasting, he was asked to formulate a nutritional drink that can prevent dehydration and cramping. In 1990, the formula was tested and proven successful in the harsh conditions of the North African desert in Cairo, Egypt. Today, it is successfully used by World Class, Professional, and amateur athletes, as well as people in everyday activities. Dr. Simone wrote the language that led to the compromise in the US Senate and finally the House ensuring that all Americans have free access to food supplements. He also conceived a health care reform plan that encourages fairness for all, recipients and employers. Dr. Simone appears on hundreds of television shows including 60 Minutes, Prime Time Live, etc; thousands of radio shows, and is written about in thousands of national and international print media. He is sought for medical and politically related issues. Charles B. Simone, M.MS, M.D. is one of the few individuals in the world with formal training in Medical Oncology, Radiation Oncology and Tumor Immunology, with expertise in nutrition, cancer prevention, and cancer detection. As one of the first physicians to champion integrative medicine, Dr Simone combines effective conventional and alternative modalities. The Simone Protective Cancer Institute [501 (C) 3 non-profit] was founded by Charles B. Simone, M.D. in 1980 for the purpose of carrying on scientific research, conducting public lectures, and educating people, especially children, concerning prevention, early detection, and treatment of diseases. Through research and education we expect to profoundly influence the way diseases are handled in America. For a bold new attack on cancer, please make a tax deductible contribution to the Simone Protective Cancer Institute, 123 Franklin Corner Road, Lawrenceville, NJ 08648, 609-896-2646. Your contribution may be: Cash Gift, Bequests, Securities, Real Estate, Life Insurance.